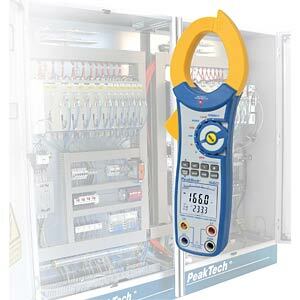 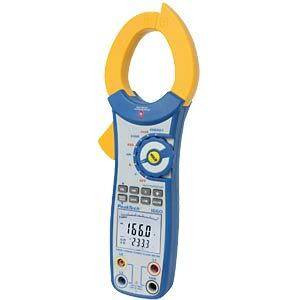 Digital power clamp meter, 4-digit, 750 kW with USB. 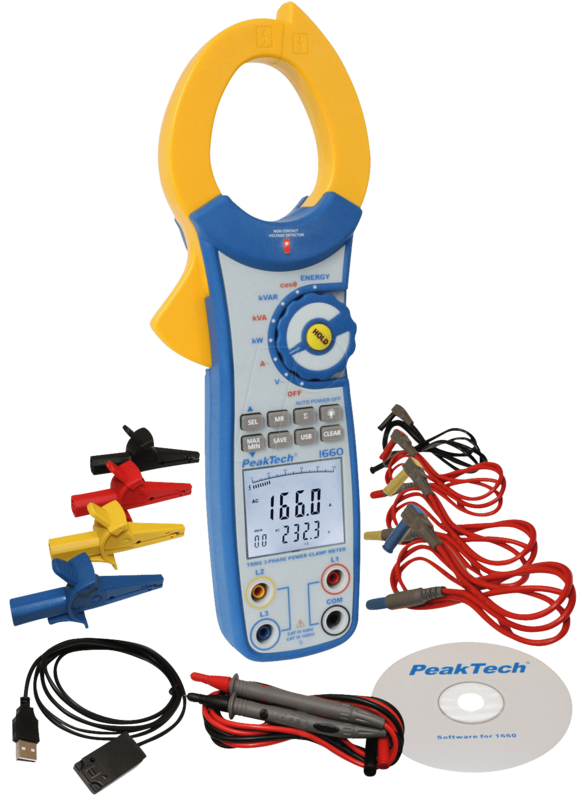 Digital power clamp meter for measuring power consumption and energy consumption in single-phase or three-phase networks. 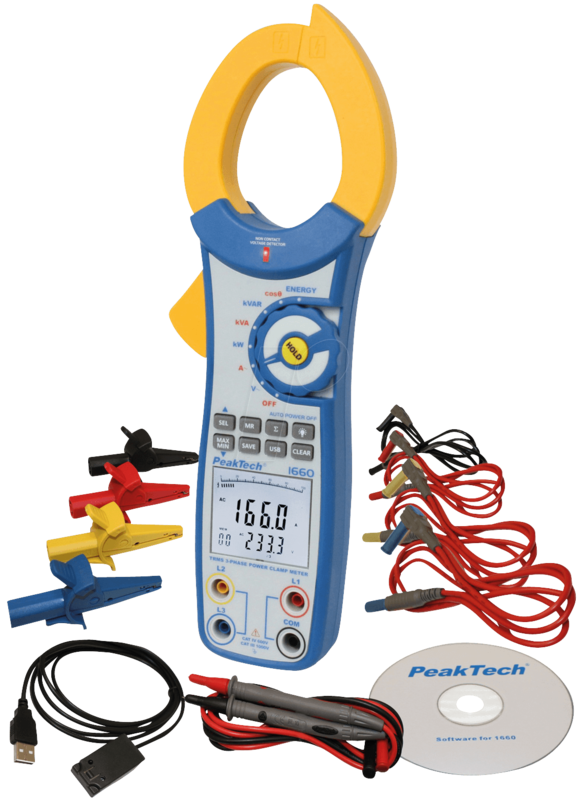 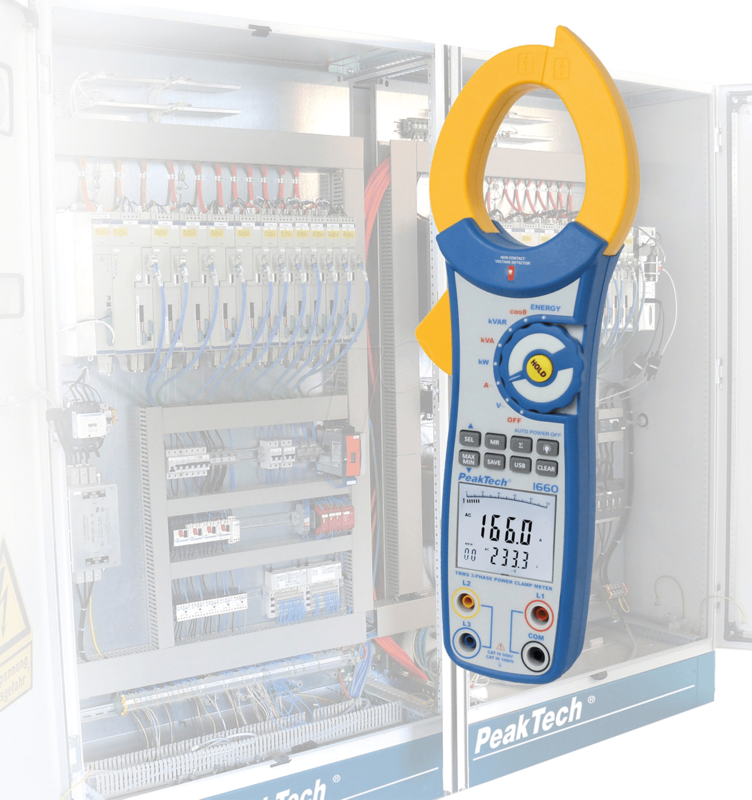 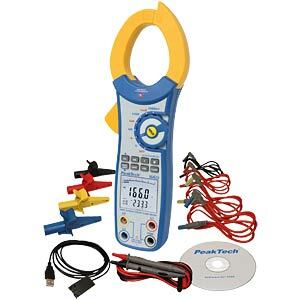 In addition to measurement functions such as AC voltage, AC current, phase shift angle or power factor, this power clamp meter also determines the power actually consumed during a voltage test. 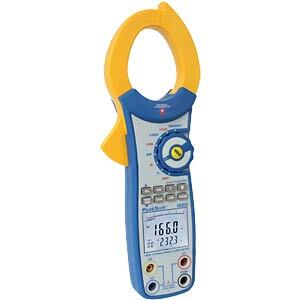 The rugged, rubberised and ergonomically designed body ensures safe handling during measurement and makes this power clamp meter suitable for use in the industrial sector.